How sensitive human rights awards can be is shown again in the case of Taiwan’s Asia Democracy and Human Rights Award. 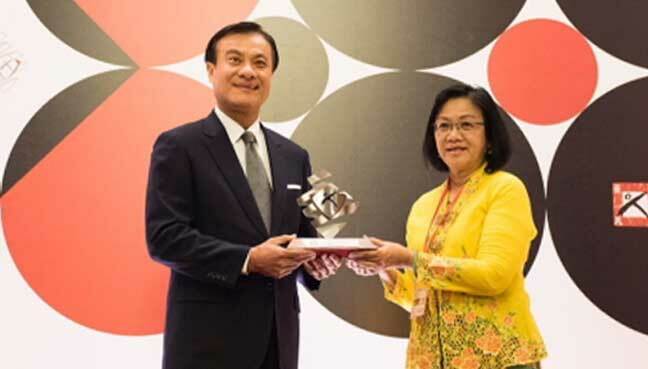 The award (see: http://trueheroesfilms.org/thedigest/awards/asia-democracy-and-human-rights-award) is technically independent but closely related to the Government, which probably explains why the part concerning the “1MDB” corruption scandal in Malaysia was deleted from Maria Chin Abdullah’s acceptance speech. Maria in her speech also touched on the lack of freedom of expression, attacks against human rights defenders, and the government’s use of laws such as the Security Offences (Special Measures) Act 2015 (Sosma). She charged that hate politics was part of a strategy to vilify rights activists. “The politics of hate, religious intolerance and exclusion, which adversely affect the freedom and human rights, are used against human rights defenders. Yet, impunity against wrong doers is not addressed,” she said, adding that change was still a long road ahead. “Malaysians’ voices are loud and clear – racial hostility, generated hatred, intolerance, violence and poverty have no place in our nation…Our clarion call: They can jail us. They can beat us up. But, they can never break our spirit”.